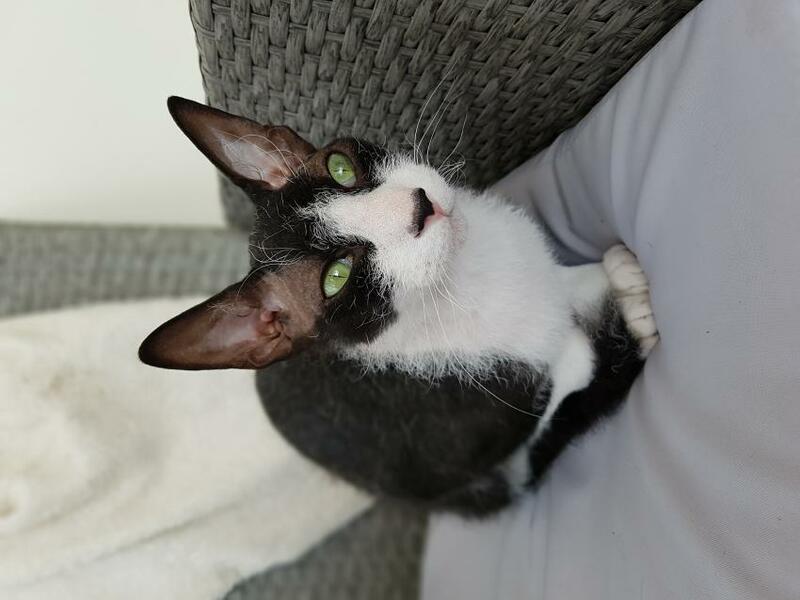 Similar in appearance and structure to the Cornish Rex, but not to be mistaken for, the Devon Rex is an independent breed in its own right having developed through a genetic mutation. 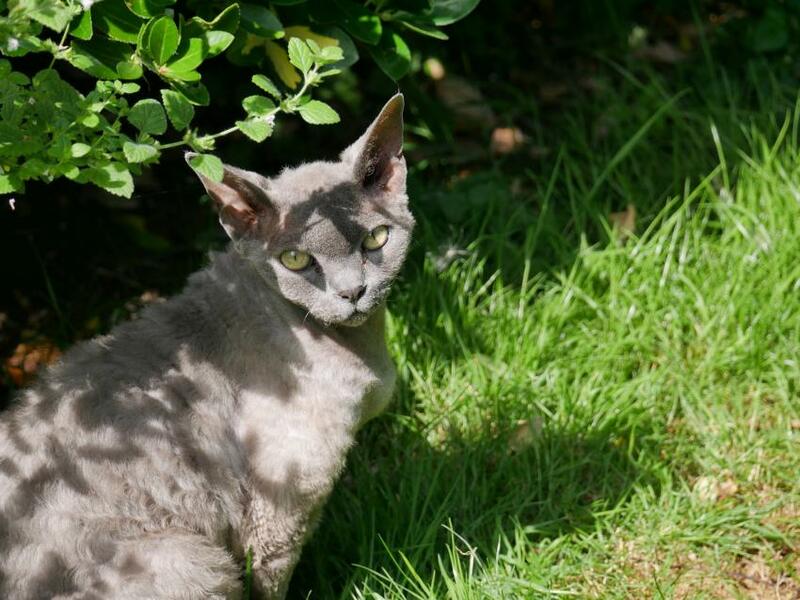 The very first Devon Rex was born on the 15th July, 1959 to a non-pedigree dam, and was the only kitten in the litter to emerge with a curly coat. The kitten, appropriately named Kirlee, intrigued many people especially its owner, Miss Cox. Determined to retain the unique look and characteristics of Kirlee, Miss Cox sold her cat to Mr. Stirling-Webb, a renowned cat breeder and show judge, who wanted Kirlee as the foundation breeding stock for what was to become the ‘Devon Rex.’ The breed has maintained its early popularity throughout its existence. 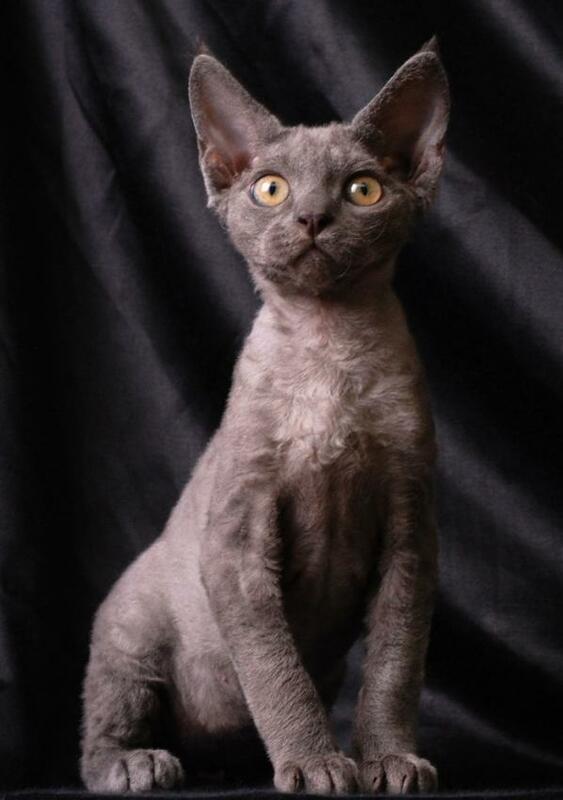 Besides the Cornish Rex, nothing comes close to matching the appearance of this breed. Possessing a lithe body structure, with disproportionately large ears and rounded head, wide-set eyes, a long neck, a short nose and nimble legs. The coat is without guard hairs, making it thin and only moderately insulating, and is common in a variety of colours and patterns. These include solid, tabby, shaded, smoke, pointed and bi-colour deviations. Usually, very little grooming is required with this breed. 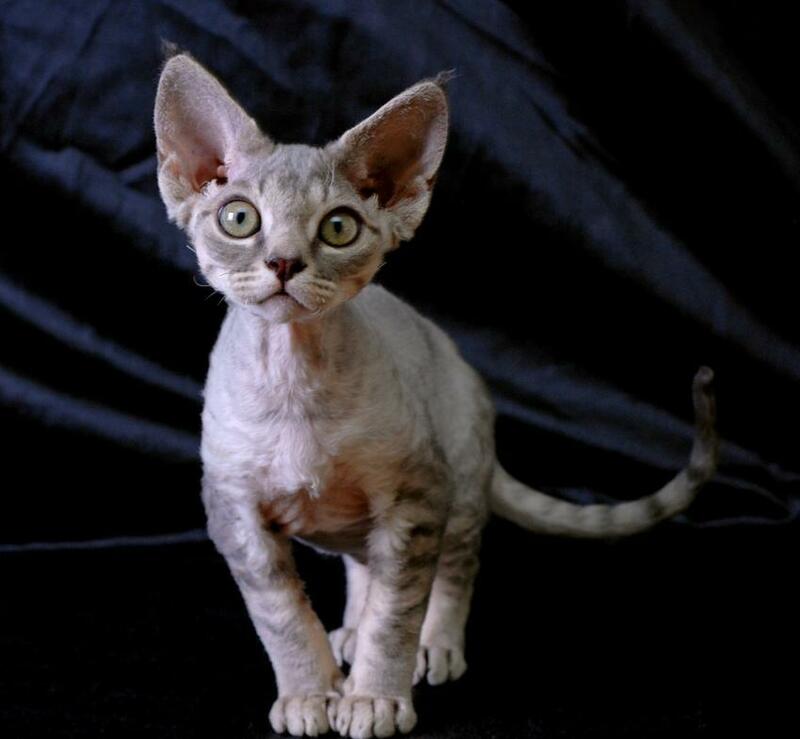 Many liken the appearance of the Devon Rex to that of pixies and elves. 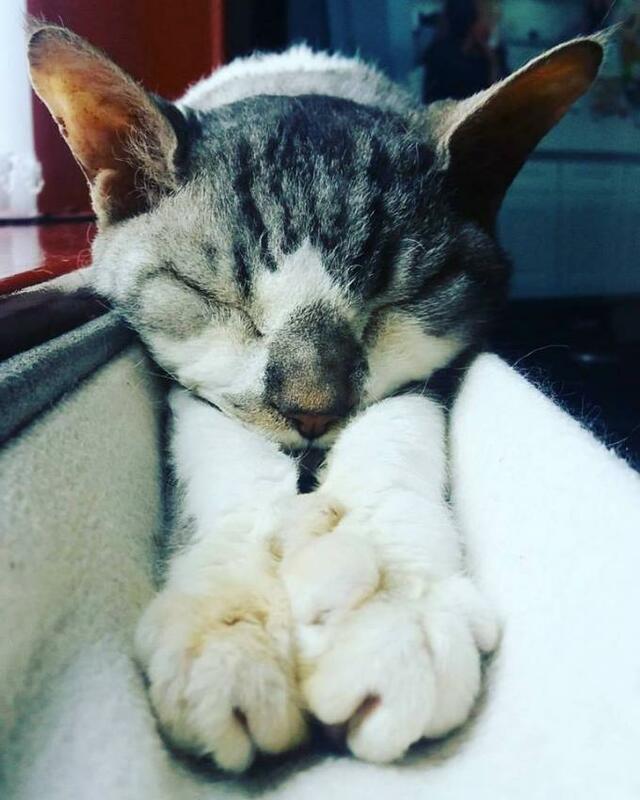 If you are looking for a truly unique breed of cat, the Devon or Cornish Rex is for you! 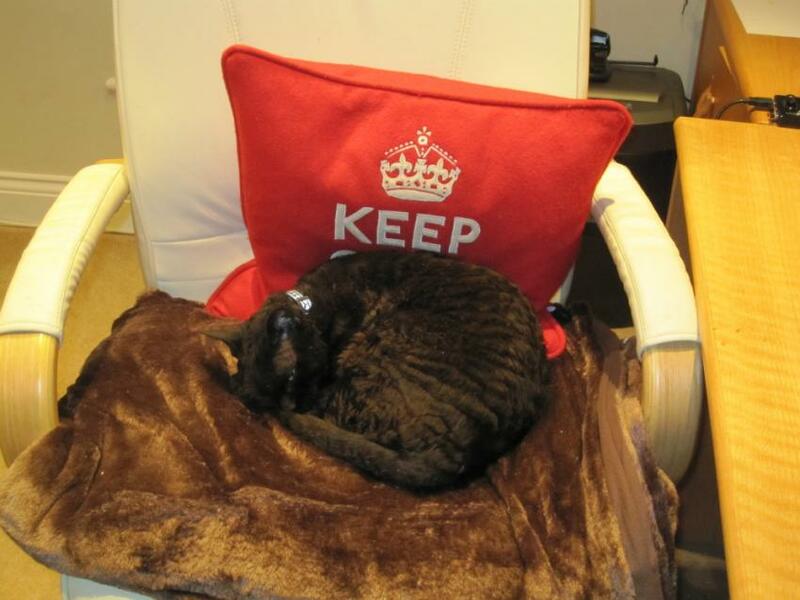 A highly intelligent breed, the Devon Rex can be trained to a very good degree. If housed indoors, the Rex will need plenty of physical and mental enrichment to lead a happy and fulfilled life. 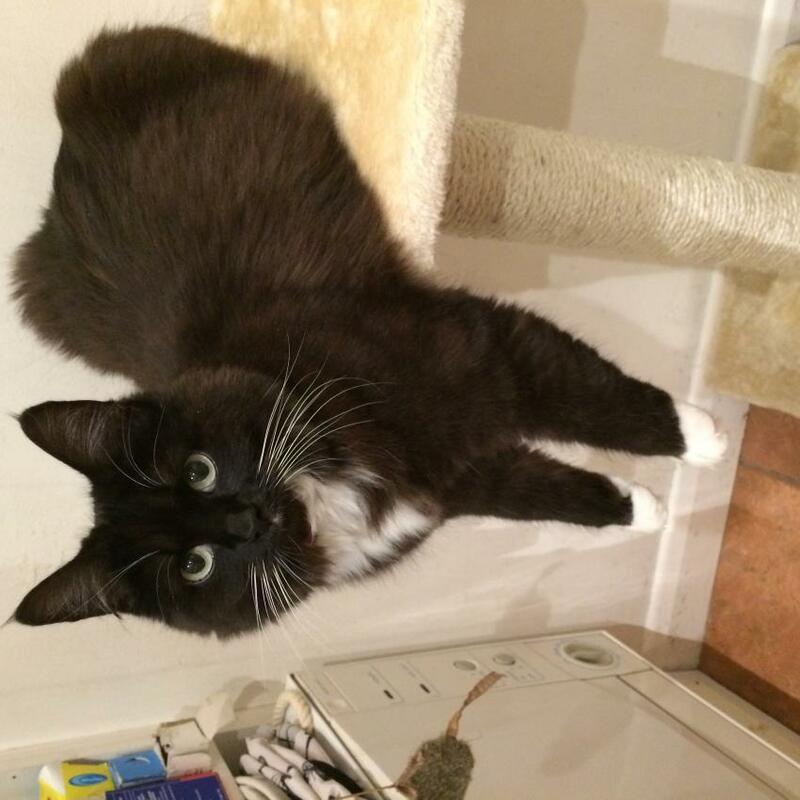 Interactive toys, scratching posts and plenty of human companionship are essential to satisfy this active, inquisitive and perceptive cat. 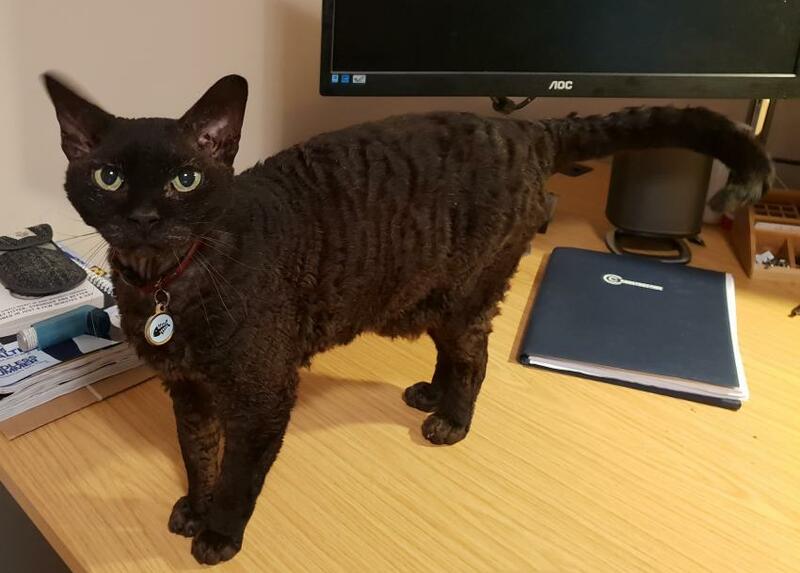 Devoted to its family, the Devon Rex will return any love and affection bestowed on it and will make a delightful house cat for young families or a dedicated sole owner. 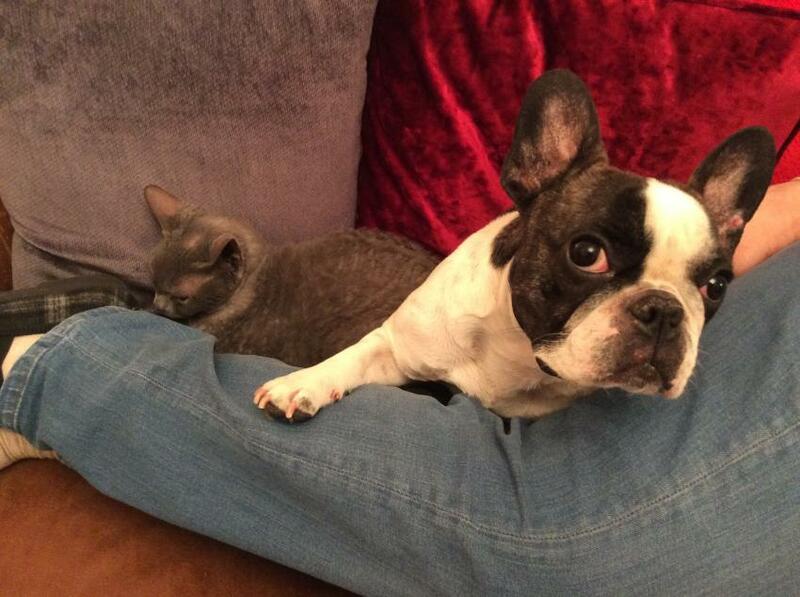 Its natural love of people makes it well suited to domestic life, whether an indoor or outdoor cat. 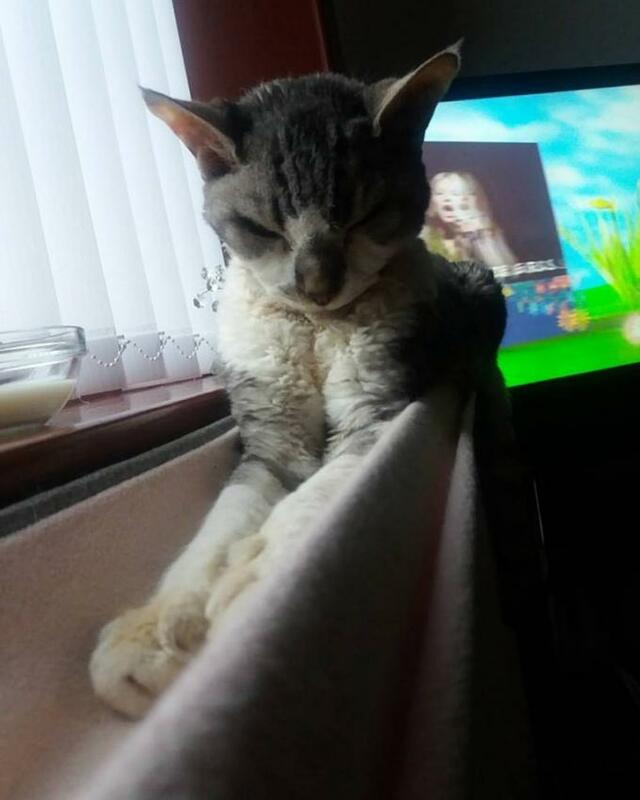 On average, a healthy Devon Rex will weigh 8-10 pounds, with a typical life expectancy of 15 years. Few health conditions or afflictions are documented in this typically healthy and resilient breed. Those that are documented include asthma, patellar luxation and hypertrophic cardiomyopathy, the most common type of heart disease. 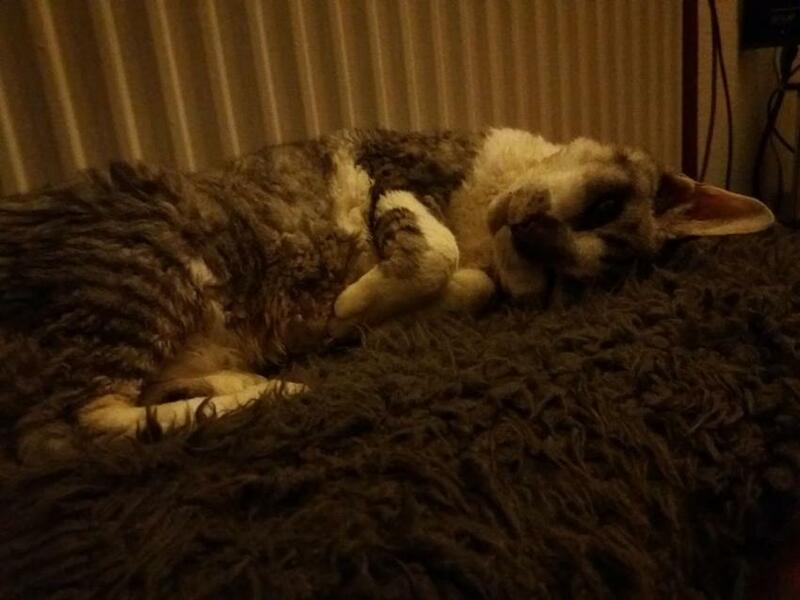 Hereditary myopathy is also seen in the Devon Rex – a condition that affects muscle function. 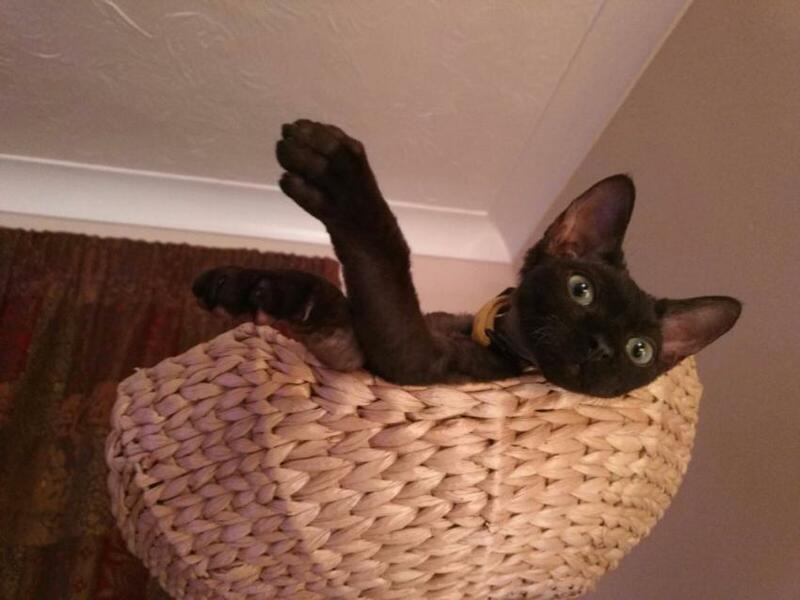 Zuri is actually a Devon Rex/Siamese cross but there was no option for this on the list. 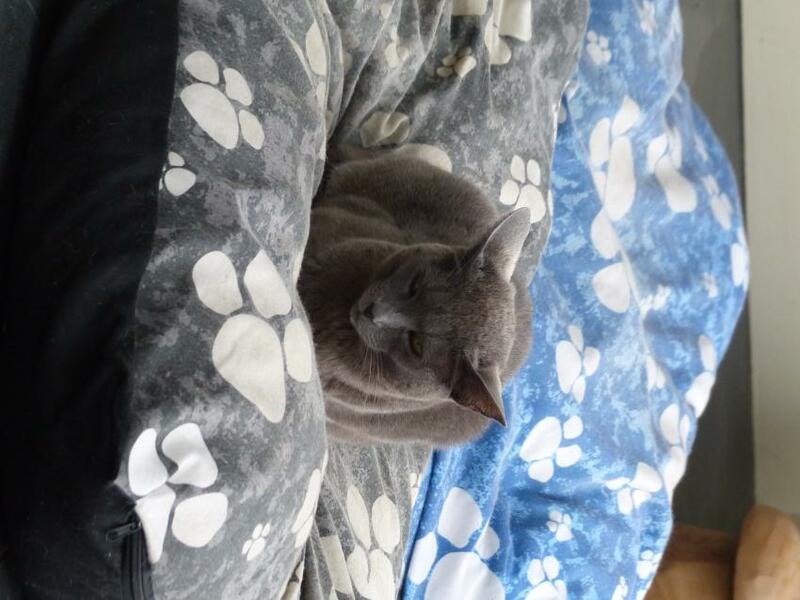 As she has a more Devon Rex shaped had and face I chose Devon Rex. 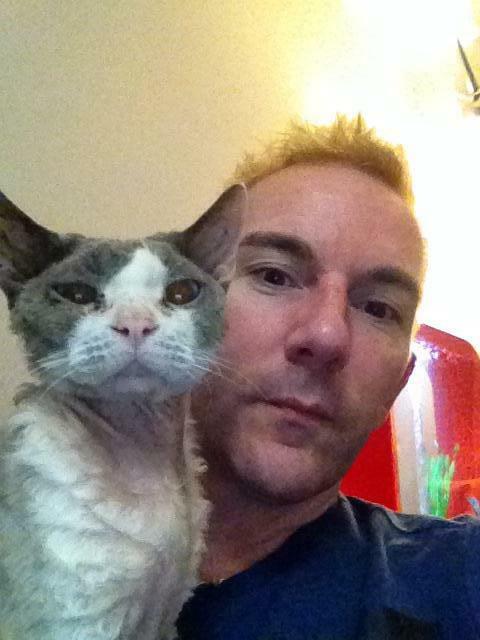 Do you own a Devon Rex? Let others know what they're like!